Its strange that Polaris does not benefit from dx12 in this game, most other dx12 games do. Bad implementation i would say, performance is all over the place. We can only dream developers will do a better job with dx12 like with Tomb Raider and Division 2. Seems like a wrap job. I guess you're right about them just updating to continue sales, keep the game in the news. Unless with dx12 there's a whole lot more details on the screen, that's ridiculously bad programming. If the CPU or PCIe bus aren't bottlenecked, DX12 and Vulkan aren't going to show much (if any) performance improvement. One of the biggest take away that always seem consistent with AMD current revised driver working in a DX12 title is that latency is greatly reduced. Which this video does show which is why I believe the results. Although this is an older driver I posted it because even so, it's not showing the same kind of results. Which is odd for me based on what's presented here. Wow, that's some nice performance. My Vega 56 seems to be an overkill for this. Or maybe I should just upgrade to a 4k TV. Did you see any RTX settings with the new DX12 Patch or receive any information you can share about RTX in Hitman 2. Yeah i was kind of expecting this patch to have it. 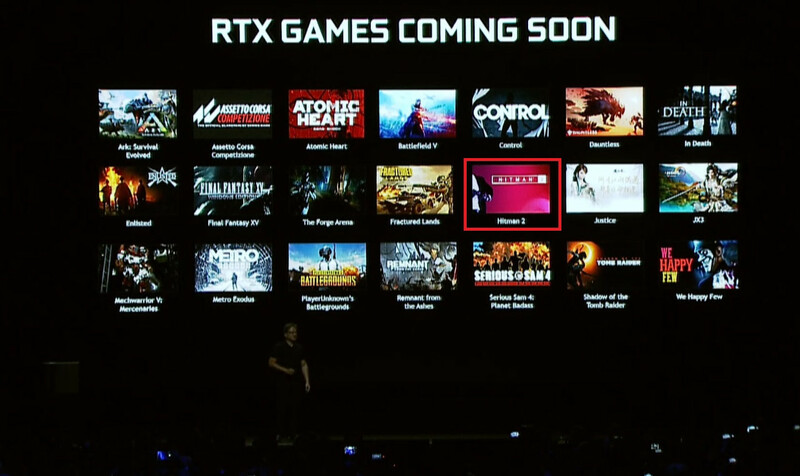 It's getting kind of ridiculous honestly - A large selling point of RTX cards was all the DLSS/RTX games that were announced all the way back in October. 6 months later we have 5 with DLSS? 3 with RTX? I have a GTX 1080 paired with an old core i5 4440 which is a huge bottleneck in many CPU demanding games. I just tested DX12 and DX11 on this game and the outcome was very interesting. in some areas DX12 shows up to 60 percent performance improvement compare to DX11!!! Interesting that in Hitman1, DX12 was slightly slower for me. it shows this time they took their time to optimized it for Pascal too. So should you enable DX12? For the majority of you running Nvidia graphics cards with Intel CPUs, no. But there’s something to be said for opting for the latest API on red graphics silicon – even more so paired with AMD Ryzen. While it may lose you a couple of frames on average, minimum framerates are greatly improved. And that should make for smoother garroting in-game. Enjoy. Thanks for the link. It shows exactly what I've said. Performance for Radeon cards should be better. In particular reduce latency (better 1% lows, etc). It even shows better min performance for the 2700X. Yeah, but not hitting the same FPS as DX 11 seems like really bad programming. I wonder how it performs on more maintream CPU 4 core 8 threads. Are there any benefits while using DX 12? Cool stuff....that's where dx12 shines. Testing a CPU overhead performance patch with high-end CPUs.. They can increase performance on non cpu bottlenecked scenarios too, but the required work is almost different than reducing CPU overhead and requires more in-depth path and and ad-hock solutions. Non-CPU bottlenecked scenarios is really a minor percentage of users, so it's not a big deal, especially if the backend supports multiple APIs. Still waiting for those native DX12 games, all these games still feel like they are DX11 with DX12 as an afterthought not utilizing it's full potential. Oh whoops, I was reading some of the graphs backwards, where I thought DX12 was in the lead. Anyway, if it really is poorly optimized then adding more cores isn't going to do anything at all. I know the release notes say Kepler isn't supported, but I tried it any way, but it hard locks just when the mission is loaded and the gameplay is about to start. Does it have to do with the game requiring feature level 11_1, or would the game simply just refuse to start if that were the case? That seems like a great result ,now only if your card supported freesync you would be golden. DX12 helps a lot in CPU limited scenes in HITMAN 2, I got +20-40fps. It's a totally different game for me now. IOI rushed DX11 implementation with Turing that's why DX12 shine so much. DX12 implementation is not perfect since the results in 4K are better with DX11, and SLI is not working atm. Gains with Turing are really massive in 1440p/1080p in all CPU limited areas, between 20-50fps, awesome. Edit : For clarification, official benchmark score is not the best way to see the difference, which is why guru3d's test does not represent the reality, the difference between DX11 and DX12 with HITMAN 2 and a good computer is extraordinary except in 4K. To better notice the gains, play the game, not the internal benchmark (especially Miami one). Absolutely incredible performance improvement on DX12 with this patch on both Pascal and Turing. some people say Pascal is not good at DX12 but this proves it's just the matter of optimization not some problem with GPU architecture.